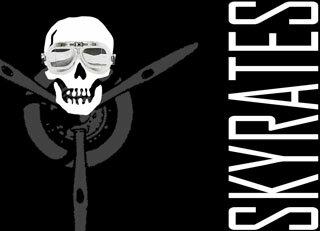 Skyrates (rhymes with pirates) is a game design and development project that explores the nature of keyhole gameplay on several platforms. In a keyhole game both the game world and the player’s understanding of that world are complex, yet the player’s interaction with the world is very narrow. The stock market is an excellent real-world example of a keyhole game in which the narrow interaction is the buying and selling of stocks. To fully explore the idea of keyhole gameplay, Skyrates has chosen several platforms that each provide a unique and compelling interaction. These platforms may include the Google Desktop Sidebar, the mobile phone, AOL Instant Messenger, SMS, and Macromedia Flash. The main client will be written in Flash and be accessible via the web. The Google Desktop Sidebar will provide real-time access to simple interactions and information for players about the status of their characters in game. With the AOL Instant Messenger service Skyrates will engage players through AIM bots acting as in-game characters with meaningful dialogue trees and quests. Mobile phones are a portable access client that can access the Skyrates world from anywhere in the real world. 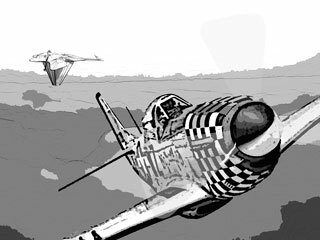 By developing for several platforms Skyrates broaches the question of whether truly meaningful play can be developed across disparate platforms.